Grimsby Town vs Swindon predictions as they meet in League Two this Saturday. Will the visitors be able to continue their recent upturn in form? Read on for our preview of the match and all our free betting tips below. When any team replaces their manager, they usually do so in the hope that the new man in charge can bring the famous ‘new manager bounce’ with them when they take over. 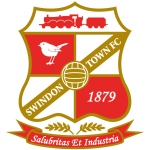 For Swindon Town, that is exactly what has happened as their results have been on an upward curve, and this weekend they have the opportunity to continue this improvement when they make the trip to face off against Grimsby Town. Grimsby Town were enjoying a good run of form until a last-minute goal saw them slip to a 2-1 defeat away at Cheltenham Town. The Mariners were looking over their shoulder at the bottom two prior to their improvement and although they are not out of the woods yet, they at least have a bit more breathing space. The main reason for their improvement has come thanks to their form on home soil and they are undefeated in their last five home matches, winning their last three. Swindon Town could make it four League Two victories in a row by beating Grimsby Town as the Robins push for the play-off places. Although they overcame National League North side York City in the FA Cup first round back in November, that result was the last time boss Phil Brown would lead his side as he was sacked following a poor start to the season. Richard Wellens was the man selected to step in and replace Brown, and with the sides current form, this certainly suggests it was the right decision to make. Although Swindon are the form team going into this match, their hosts are not exactly out of the running in this clash. With both sides high in confidence, we are going to stay away from the win-draw-win market and instead go for the goals market. The Mariners have seen both teams score in four of their last five league matches and the visitors have found the back of the net six times in their last three league matches, which suggests to us that backing both teams to score is the way to go. 79% of Grimsby’s conceded goals occurred in the second half. 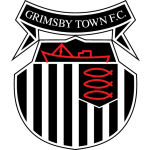 Grimsby have conceded two goals or more in each of their last three matches. 31% of Swindon Town’s conceded goals occurred in the first 15 minutes. Swindon are yet to score in both halves of an away game this season.